Posted 17.03.2017 at 11:03 in blog by admin / Comments Off on What should be done in case of a missing front tooth? Your front teeth make up the most important component of your overall beauty and facial appearance. Light colored, healthy natural teeth provide charming smiles and esthetic tooth display during everyday activities involving opening your mouth. 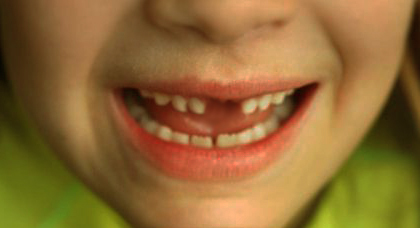 Missing or lost natural front teeth can ruin your smiles. Get in touch with your Dentist Albuquerque for more information. Prevention is the best solution for increasing the lifetime of your natural healthy teeth. Once lost, their replacement can be time consuming, costly and damaging to adjacent natural teeth. Tooth loss has been considered as oral handicap. Thus it often results in loss of self esteem, confidence and efficiency at work in offices as well during presentations and lectures in university life. Because of such problems, you need to get in touch with your dentist. Get in touch with highly experienced and skilled 24 hours emergency cosmetic & restorative dentist Dr William C Gardner. He is available at NM Family and Cosmetic Dentistry PC. He puts special emphasis regarding complete preventive guidance. This is regarding longevity of natural front teeth and management of ideal artificial tooth replacements following tooth loss. So, call for an appointment right now. Q. WHAT ARE THE COMMON REASONS OF TOOTH LOSS? WHY SHOULD YOU VISIT DENTIST ALBUQUERQUE? Q. WHAT ARE THE VARIOUS OPTIONS FOR REPLACEMENT OF LOST AND MISSING NATURAL TEETH? • These help in providing better chewing, biting and efficiency as compared to dental bridges. Q. WHAT WILL HAPPEN IF MISSING TOOTH SPACES ARE LEFT UNREPLACED FOR LONG TIME DURATION? Is your or your siblings child’s missing natural teeth causing loss of confidence and self-esteem? Is it like a functional handicap? Get in touch with Dentist Albuquerque. Call 24 hours emergency cosmetic & restorative dentist Dr William C Gardner at NM Family and Cosmetic Dentistry PC. He is available throughout day and night and focuses upon best solution for improving your child’s teeth. So, give us a call right away and get relief from all your problems!